The participants expressed strong interest in learning more about gender equity and equality so that they could integrate the concepts into agricultural and natural resource management. Given the often-sensitive nature of the issues and that male participants (15) outnumbered females (11), discussions were at times lively. A few of the men said they were uneasy with the notions of gender equity and equality, if that meant women would have the ‘same status as men’ or expect their husbands to take on household tasks such as bathing children or cooking or abruptly challenge traditional and cultural values. Ana Maria Paez, ICRAF’s gender specialist who facilitated the workshop, explained that ‘gender equity’ was a ‘process of being fair to women and men’ through strategies and measures that ‘compensate for women’s historical and social disadvantages that prevent women and men from otherwise operating on a level playing field’. The workshop was hosted by Emilie Smith Dumont, coordinator of the West Africa Forest–Farm Interface (WAFFI) project led by ICRAF in Burkina Faso and Ghana. She is also the Ghana focal point for the ambitious, five-year Regreening Africa project funded by the European Union. 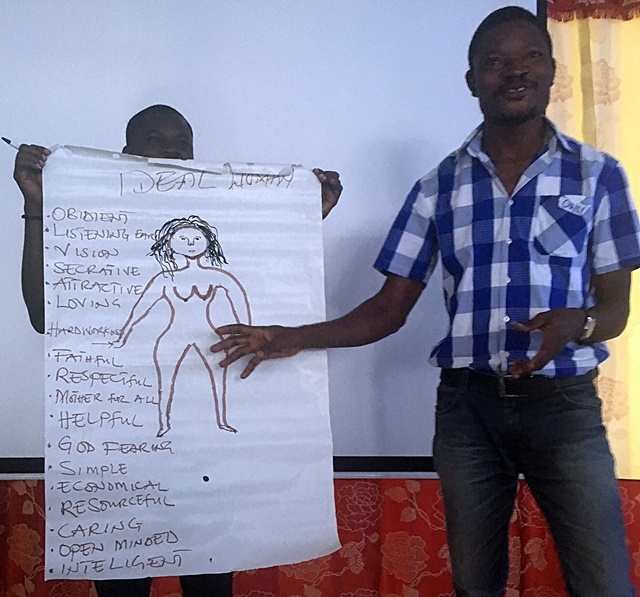 One of the more colourful sessions involved male participants drawing and describing what they would consider the ‘ideal woman’ and female participants doing the same for an ‘ideal man’. This led to animated discussions, closely analysing some of the stereotypes of men and women revealed by the drawings. But the over-arching theme of the workshop and the key messages that emerged had most to do with analyses of gender in agriculture, including divisions of labour, access to, and control of, resources and their benefits, based on findings from the West Africa Forest–Farm Interface. For agricultural productivity, the Ministry of Food and Agriculture needs to train more female agricultural extension officers to ensure that there are enough appropriate staff to provide female farmers with the advice they need, noting that when new technologies are passed on to farmers, women tend to follow protocols more diligently than their male counterparts. Second, the Ministry should a) ensure that when demonstration plots are set up in a district at least one should be managed by a woman; and b) ensure women had access to farm inputs, such as high-quality germplasm and, indeed, also become leaders in the field. 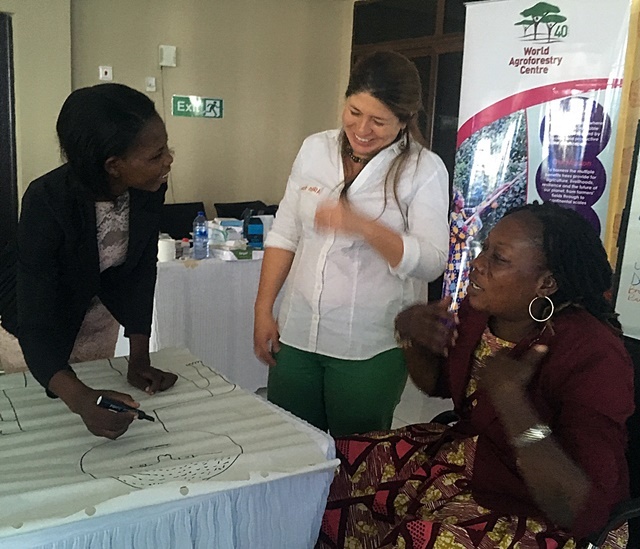 Partners in supporting the gender workshop included the Center for International Forestry Research, Catholic Relief Services, Economics of Land Degradation, European Union, Tree Aid and World Vision. The WAFFI project is led by the Center for International Forestry Research in collaboration with the World Agroforestry Centre (ICRAF) and Tree Aid with support from the International Fund for Agricultural Development. 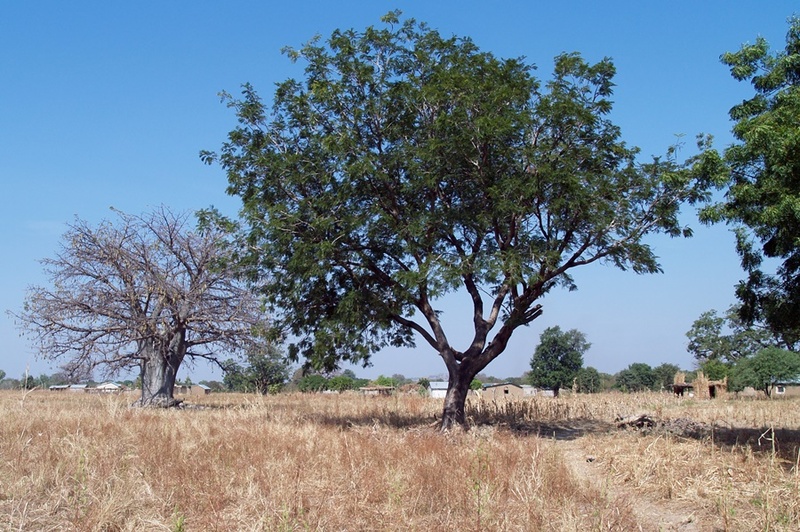 WAFFI aims to identify practices and policy actions that improve the income and food security of smallholders in Burkina Faso and Ghana through integrated forest and tree management systems that are environmentally sound and socially equitable. Regreening Africa is a five-year project that seeks to reverse land degradation among 500,000 households across 1 million hectares in eight countries in Sub-Saharan Africa. Incorporating trees into crop land, communal land and pastoral areas can reclaim Africa’s degraded landscapes. In Ghana, the work is led by World Vision in collaboration with ICRAF and Catholic Relief Services.